Google Cloud Platform has a new entry now – Google Container Service. Introduced by Google at a live event recently, Google Container Service, in its alpha version, is a managed service version of Kubernetes, which is an open source container management system. Sure to reach far and wide, this novel service has been creating waves not only for Google users but for peer groups around. Driving container innovation in the cloud, Container Engine is bound to release soon for the enterprises too. It has been analysed as being low priced and hence is sure to attract more users. With this, you can run Docker containers on Google Cloud Platform. It manages and maintains the virtual machine cluster underneath, thereby providing scalability to your application and monitoring logistics of the entire set up. Actually, containers are known approaches since long but have come in different attire for today’s users. One of the foremost reasons why it has come into front is that they have been proven technologies with a robust architecture and scalable application development. 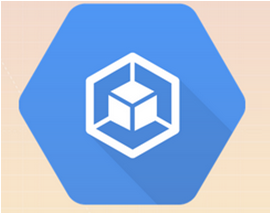 How is Google Container Engine going to benefit cloud users? Since containers provide an abstract layer between the application and the cloud infrastructure, portability is available for moving the entire container within clouds or from cloud to enterprise without many hassles. In its absence, what would happen is the applications would reside within the clouds as they are moved to IaaS and PaaS cloud providers. Logical clusters replacing Virtual Machines. Usage of VMs is any day cumbersome since they take their own pretty time to start up and then for provisioning of resources, resulting in usage of more resources. Since they include runtime components, executing them anywhere is much easier and portability onto a single server is very much possible thereby increasing cost cutting. There are, as such, many container service providers, but Google is bent upon proving its service as the best experience and an efficient one too. Gives freedom to developers to create their own code their own way with little inhibitions. It is rising up to give tough competition to its competitors like Amazon Web Service and Microsoft Azure. Usage of declarative syntax is encouraged, for you to give definition to your application needs. It will manage your application along with efficient running of your containers. It is still now known if these two news are connected but yes, Google has slashed down its cloud prices by about 80%. Sure to be a tough move for its peers, Google is trying to make sure its users are attracted and glued to its cloud platform and its new container service. Only time will tell if it really has worked. Wait and watch !